You may need the help of a foreclosure lawyer if you fall behind on your house payments. Your mortgage lender could start a foreclosure action and sell your home at sale. If the sale nets less than you owe, there will be a “deficiency balance” that you may owe to the lender. 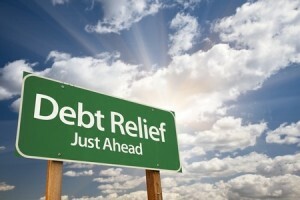 This debt is considered unsecured debt since the lender no longer holds your house as collateral. Filing for Chapter 13 bankruptcy protection stops your mortgage lender in their tracks. The day you file your Chapter 13 plan, the court grants you an “automatic stay”, which will immediately prevent the sale of your home. If you feel you have been taken advantage of or feel your rights have been violated, we are here to help. One of the great advantages of a Chapter 13 plan is that the plan allows you to get caught up on your mortgage payments over the length of the plan, usually within three to five 5 years. If your home is in foreclosure, you must file for bankruptcy relief before the foreclosure sale date in order to keep your home. Christopher German has assisted over 1000 debtors in Denver and other areas of Colorado. He is one of Denver’s most experienced bankruptcy lawyers and now he can help you.